There is more to baking than sugar and vanilla extract! With our delectable range of Waitrose Homebaking Savoury Baking Mixes, you can easily create savoury bakes that will be adored by family and mates at the dinner table. 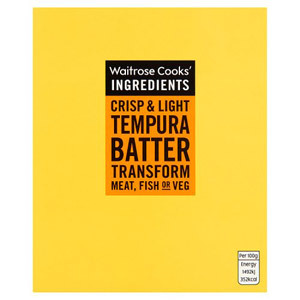 Our top sellers include tempura batter, Yorkshire pudding and pancake mixes, and have Waitrose quality and value.